Country Power Products is an Elite Stihl Dealer. 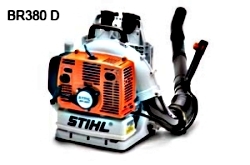 We carry a full line of ALL Stihl products, along with numerous parts and accessores. We stand behind everything we sell and have a Stihl Gold level certified master mechanic on site for all your maintenance needs. Visit the Stihl web site for full details on all their products.